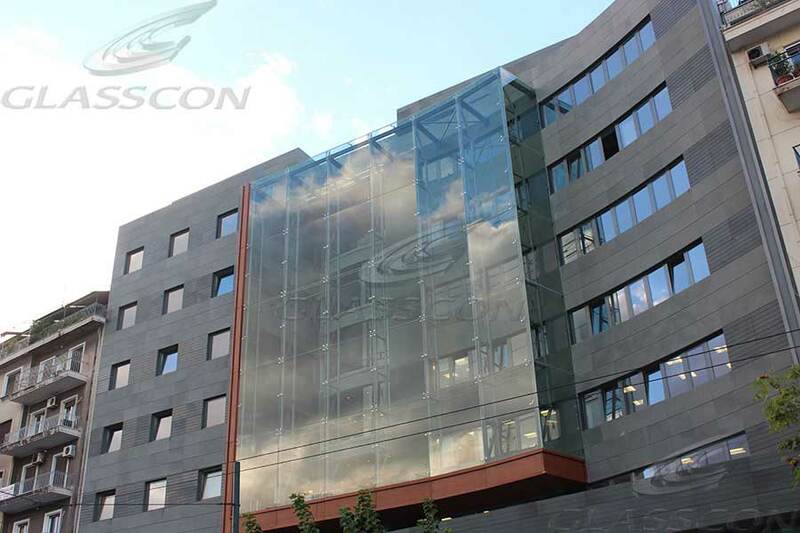 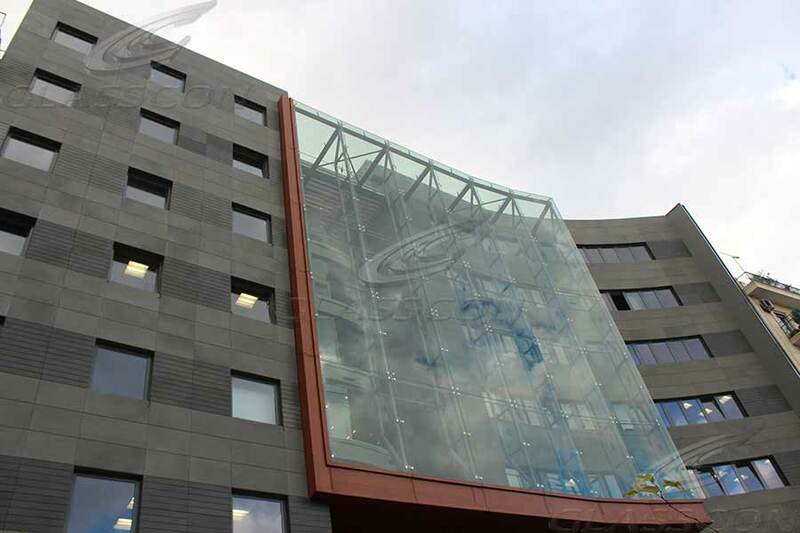 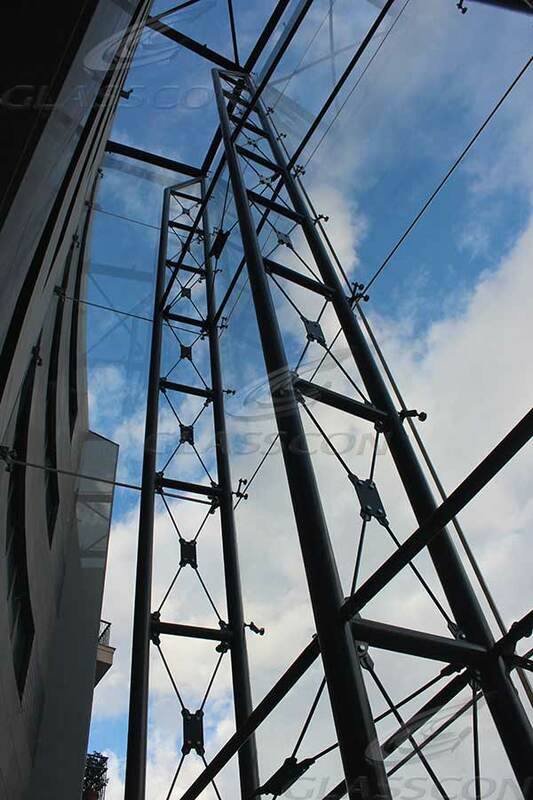 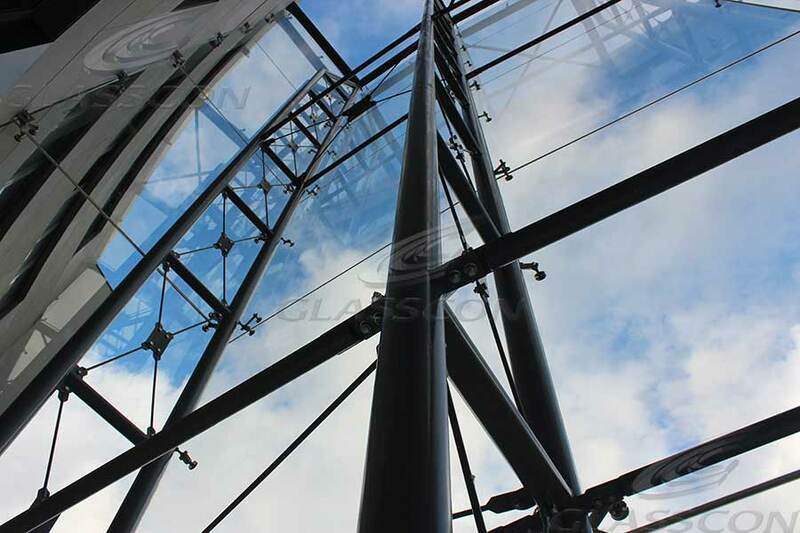 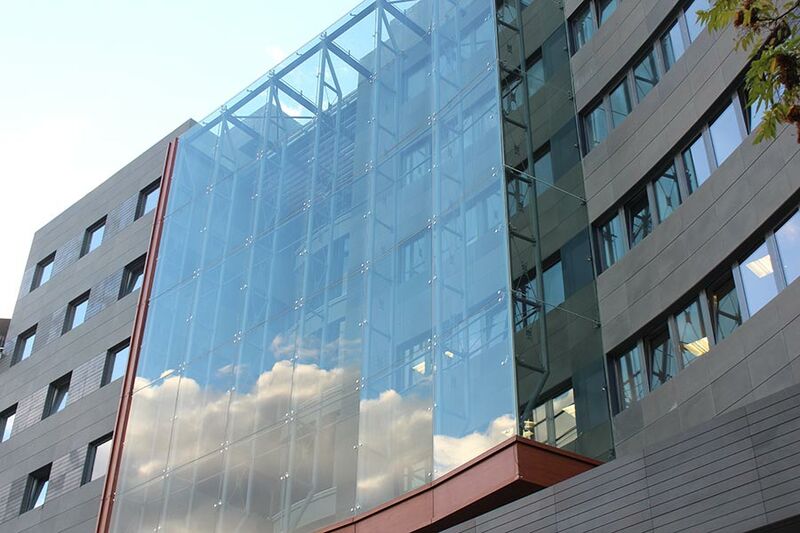 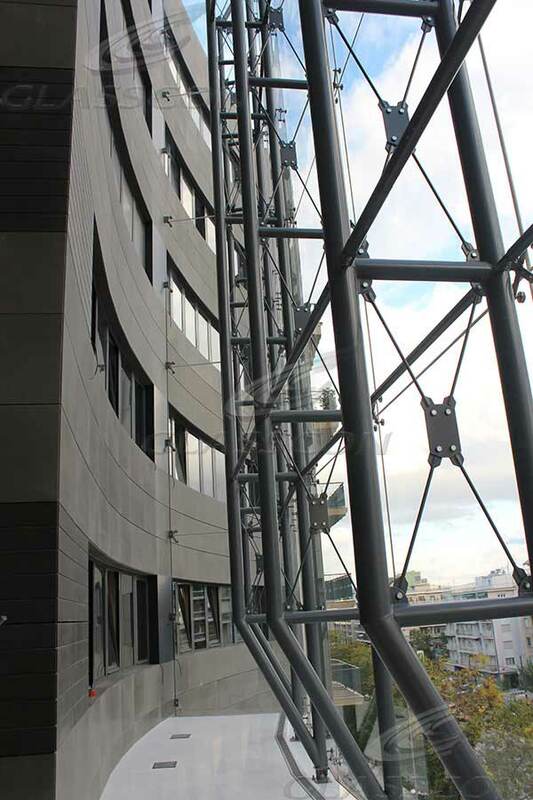 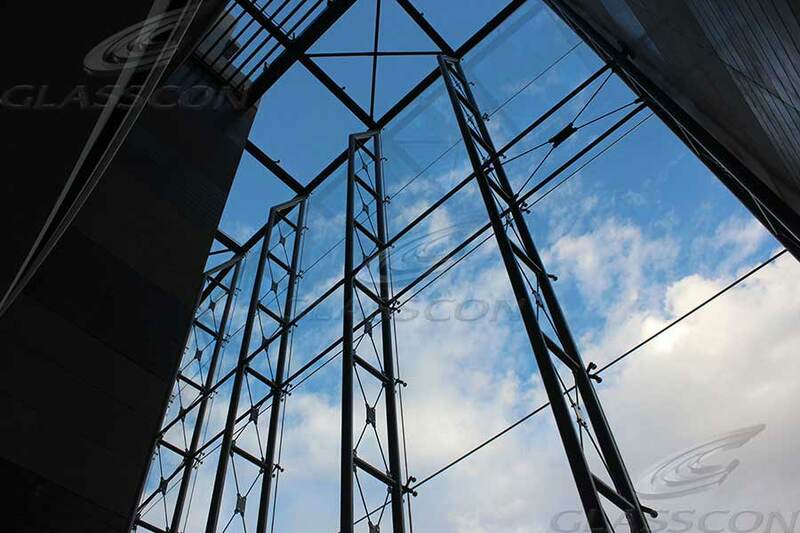 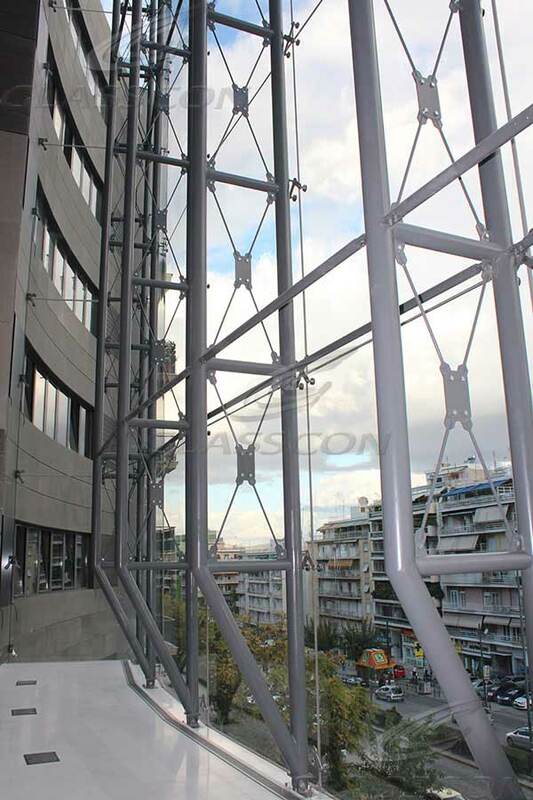 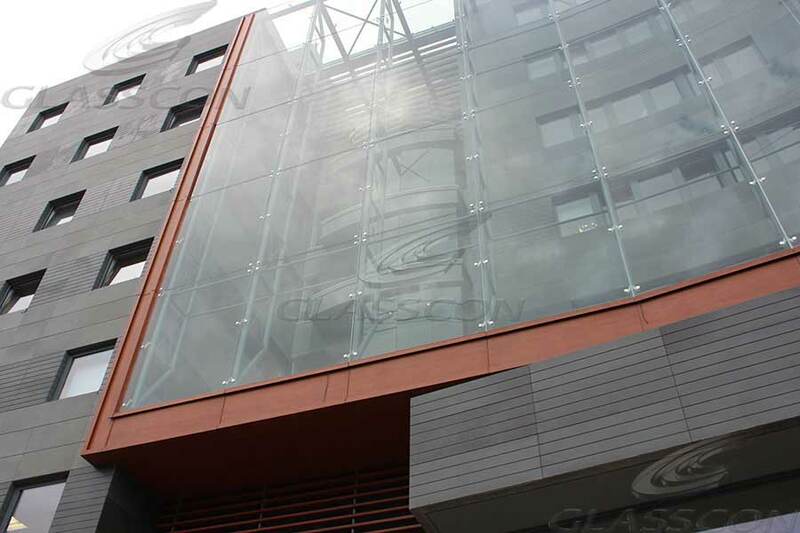 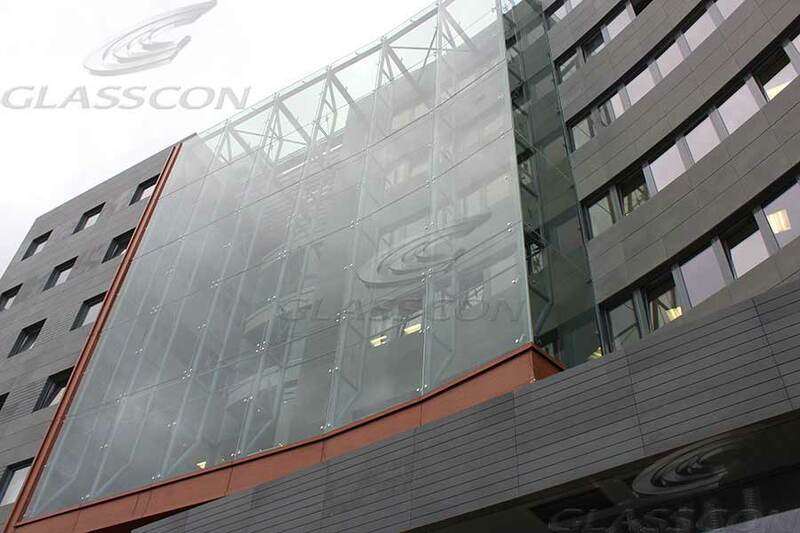 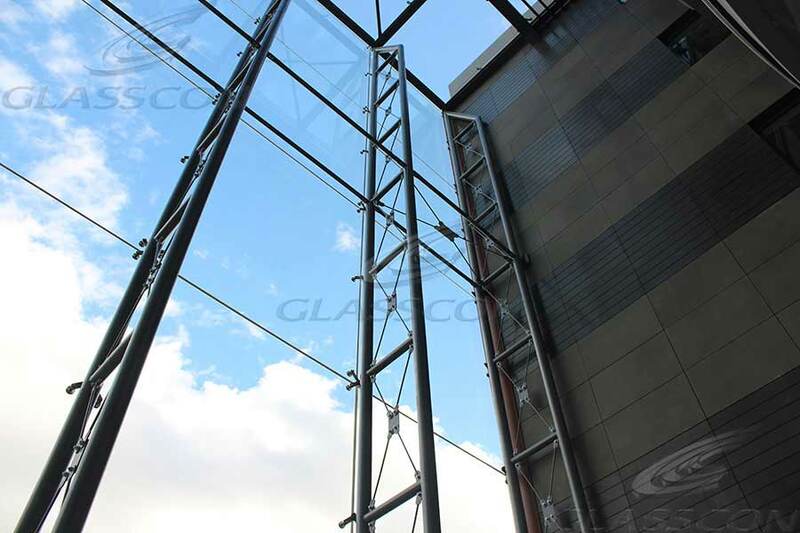 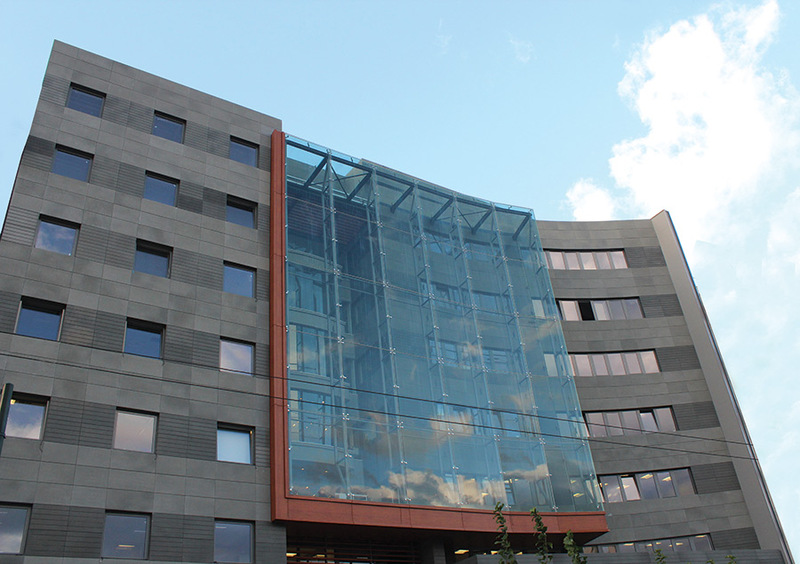 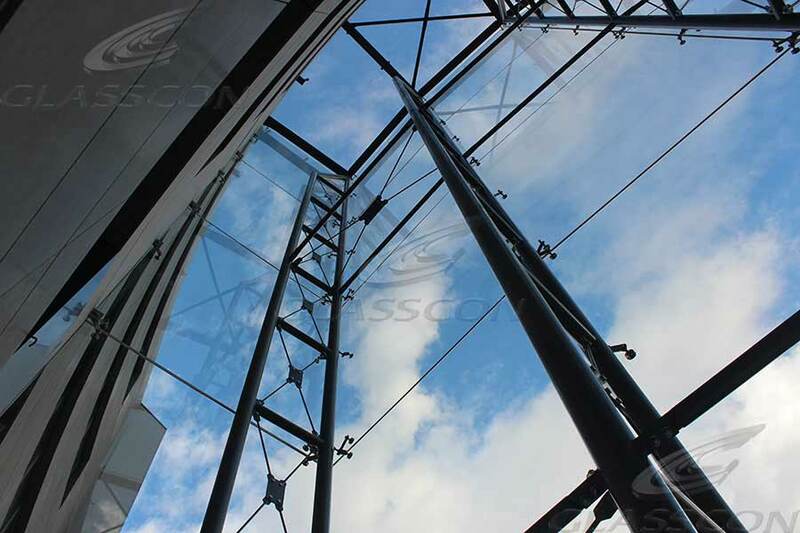 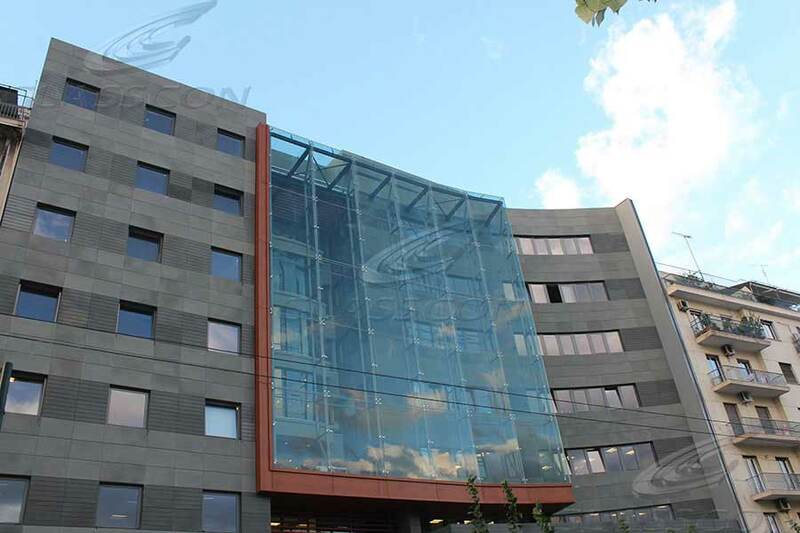 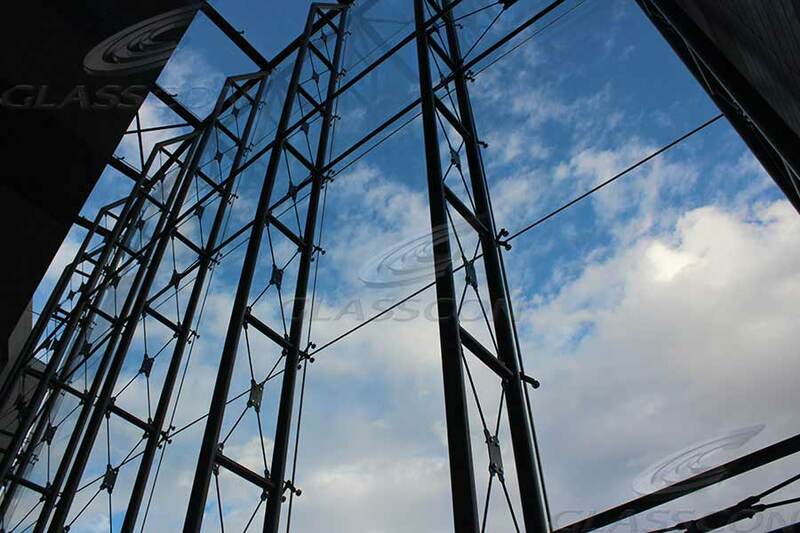 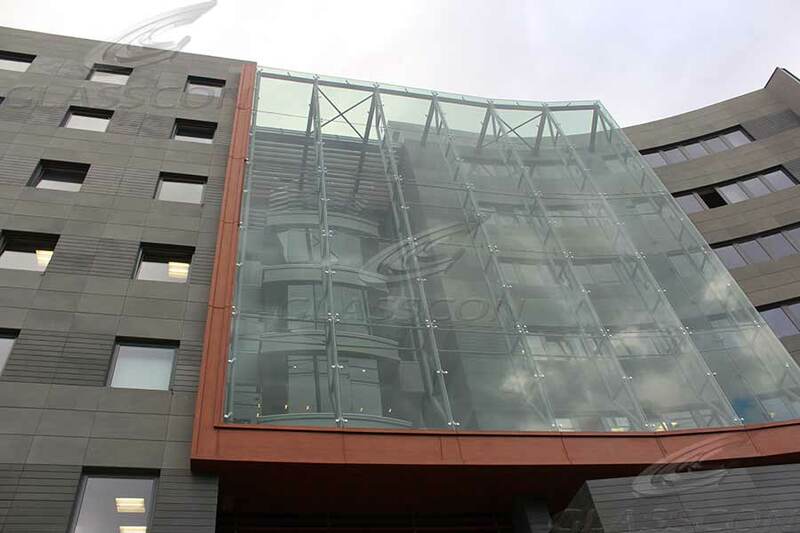 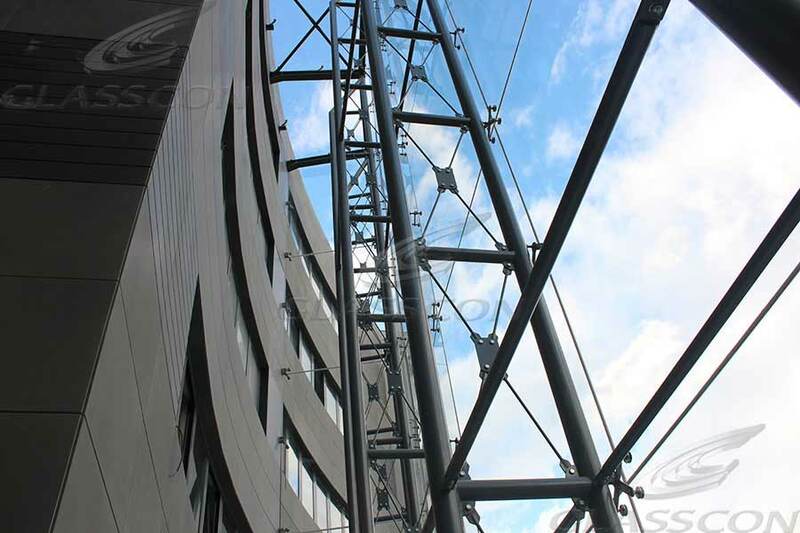 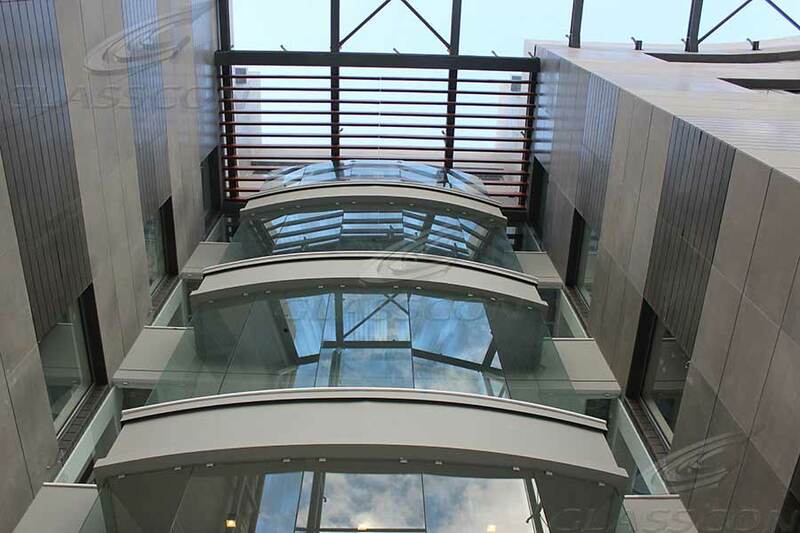 GLASSCON has recently completed façade works, on a new office building project. 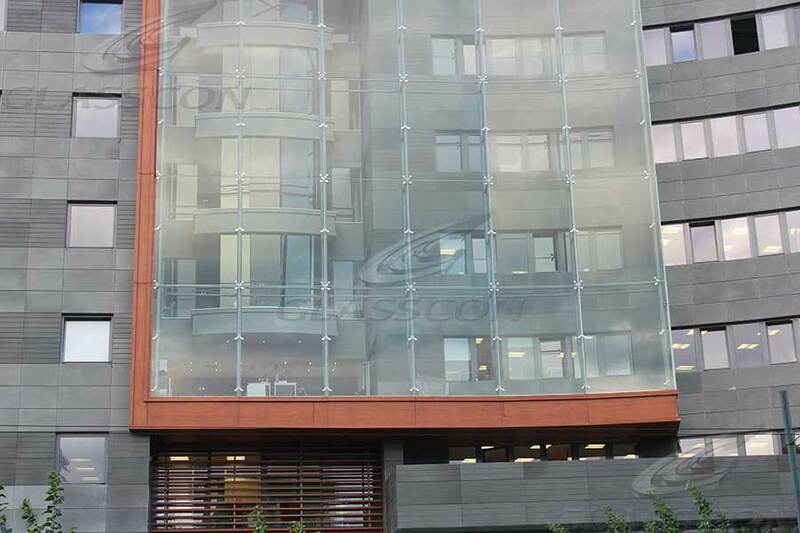 It is a new modern seven storey office building, consisted by three blocks. 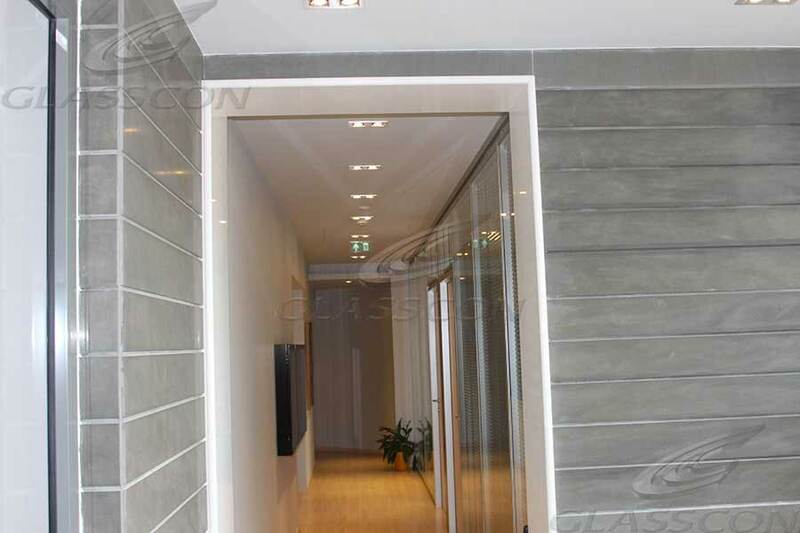 The cell of two blocks is covered by grey marble. 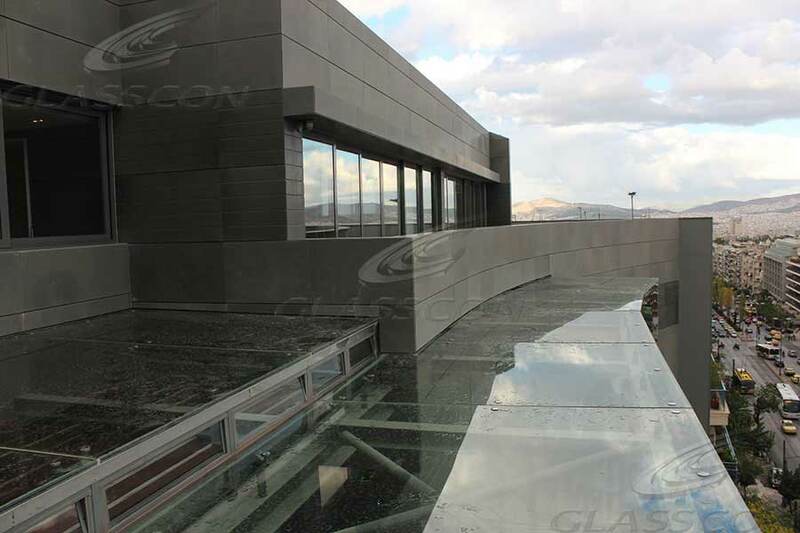 The middle block is covered by point fixed glazing façade glasscon Spider & Planar system, with huge (2600 x 4000mm) tempered laminated glass panes, creating double skin. 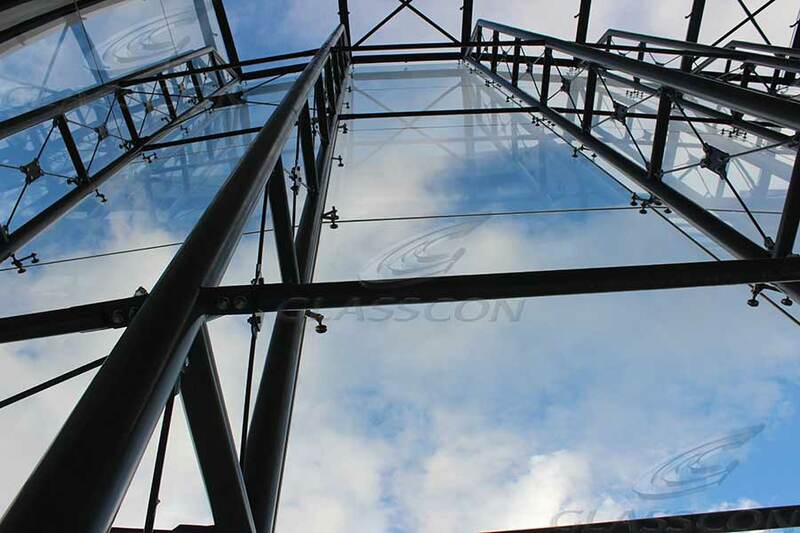 The whole structure is fully transparent and is expanded on the front elevation up to the glass roof skylight of 7th floor. 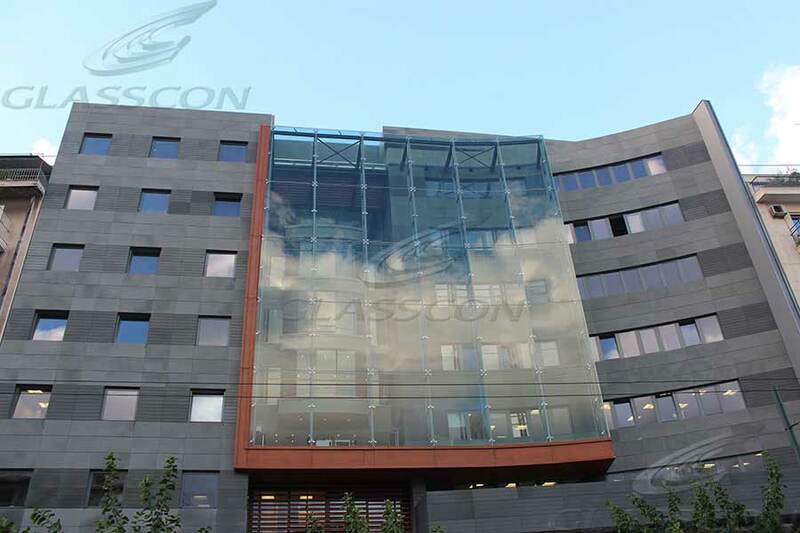 The bioclimatic design is totally utilized by natural ventilation and air expansion of the double skin area, thanks to the waterproof glass motorized rotating louvers glasscon Movable Louver Windows located on the roof. 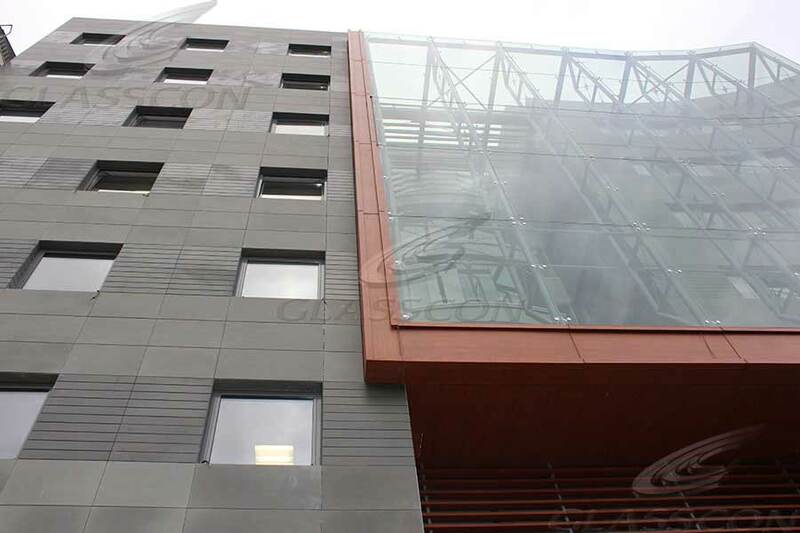 Beside the façade surface, the building skin is covered by glasscon Honeycomb Cladding Panels (aluminum core composite panels) in wood coating finish. 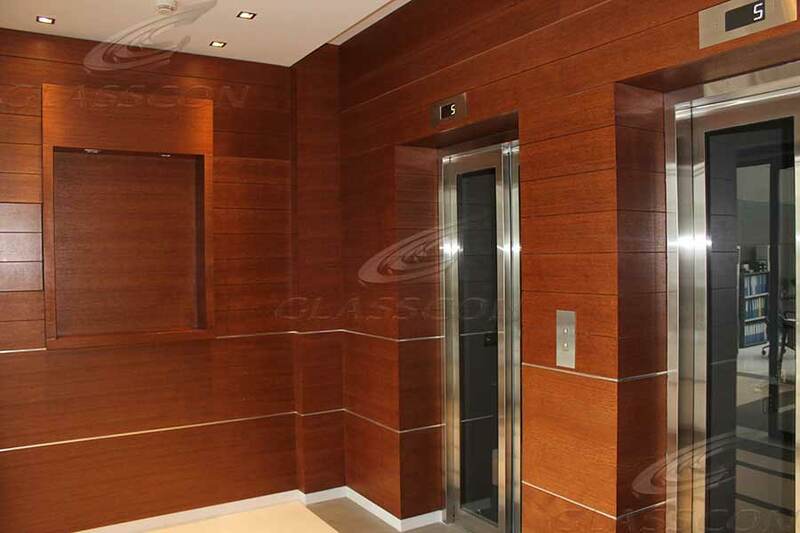 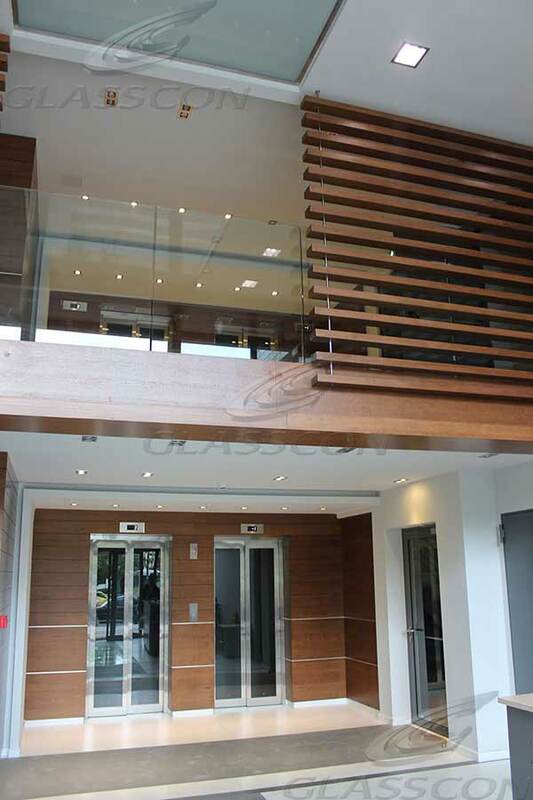 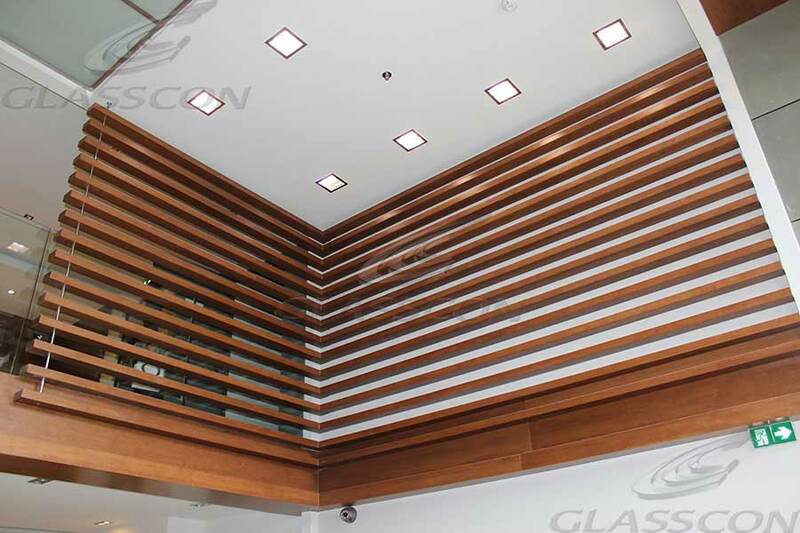 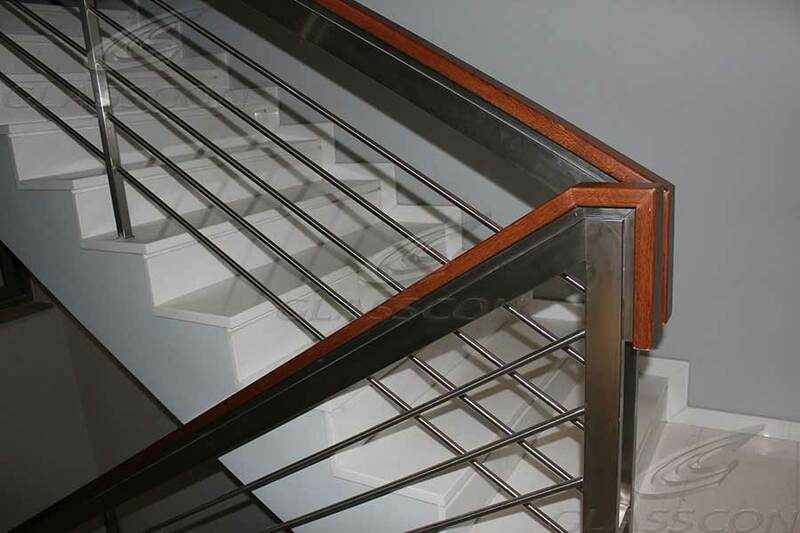 The interior cladding and glasscon Shading Louvers are made by honeycomb in wood veneer finish.